Arizona police said a YouTube star allegedly threatened her seven adopted kids if they did not appear in her videos, with abuses ranging from pepper spraying the children to forcing them to take ice baths. 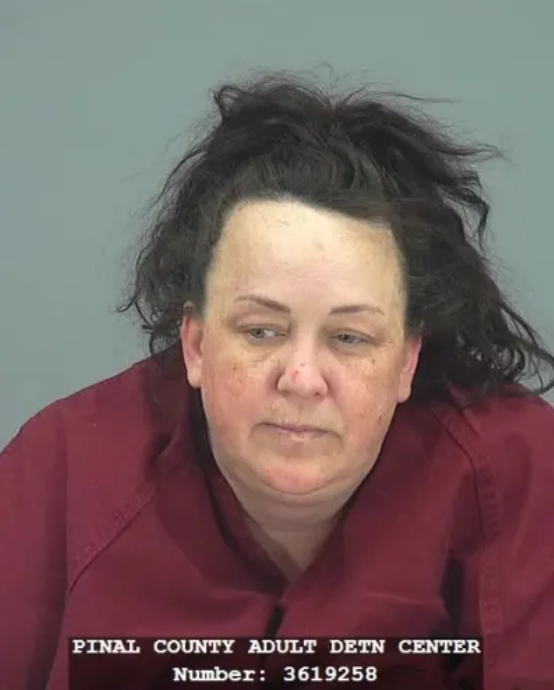 Authorities arraigned Machelle Hackney, 48, Tuesday and booked her into Pinal County Jail for child molestation, child abuse, unlawful imprisonment and child neglect counts, ABC News reported Wednesday. The mother said she disciplined her kids by spanking, grounding or having them stand in a corner, but denied abusing them, NBC News reported. Hackney runs the channel “Fantastic Adventures,” which has close to 800,000 subscribers and 250 million views. It was started on June 17, 2012. Officers were first tipped about the alleged abuse by Hackney’s biological daughter, who was not named, NBC reported. The adopted children allegedly told the biological daughter about the abuse. The children allegedly “appeared to be malnourished, due to their pale completion, dark rings under their eyes, underweight, and they stated they were thirsty and hungry” upon a welfare check by police, according to ABC. Police reportedly found one child wearing a pull-up diaper in an unlocked closet, according to NBC. The children’s ages were not released. One child claimed she was in pain for days after getting pepper sprayed between her legs, according to ABC. “I either get beat with a hanger or belt,” “or a brush,” “or get pepper sprayed from head to toe,” a second child said, ABC reported. The second child said that Hackney grabbed his “privates,” and pinched him until he bled, according to ABC. Hackney allegedly wore a mask while using the pepper spray, NBC reported. Police found two cans of pepper spray in the mother’s room. A probable cause statement said the children were not in school “for years” due to filming purposes, according to ABC. Hackney’s adult sons Logan Hackney and Ryan Hackney were also taken into custody for not reporting the abuses even when they knew about them on March 15. Ryan Hackney secretly gave the children food when they were locked inside the closet. Logan Hackney admitted to officers that he knew about the pepper spray and ice bath incidents and also heard the kids scream and cry, ABC reported. The YouTube channel could be terminated if Machelle Hackney pleads guilty or is convicted, according to YouTube. Machelle Hackney has a preliminary hearing set for March 26, ABC reported.